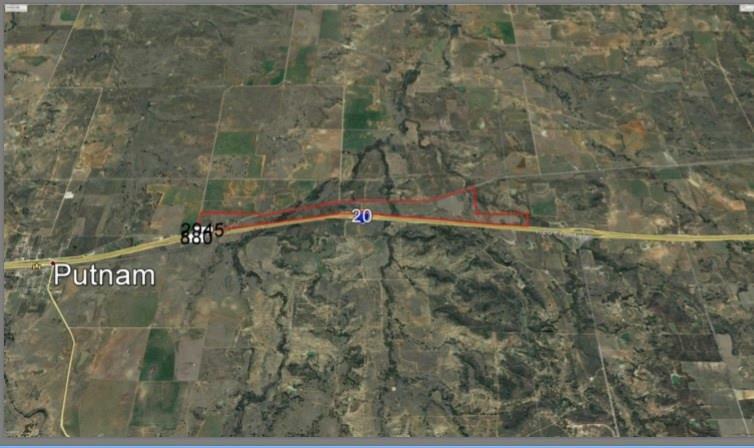 Desirable 1,223.667 contiguous acres located 1.5 miles East of Putnam, Texas, with 3.32 miles of I-20 frontage! 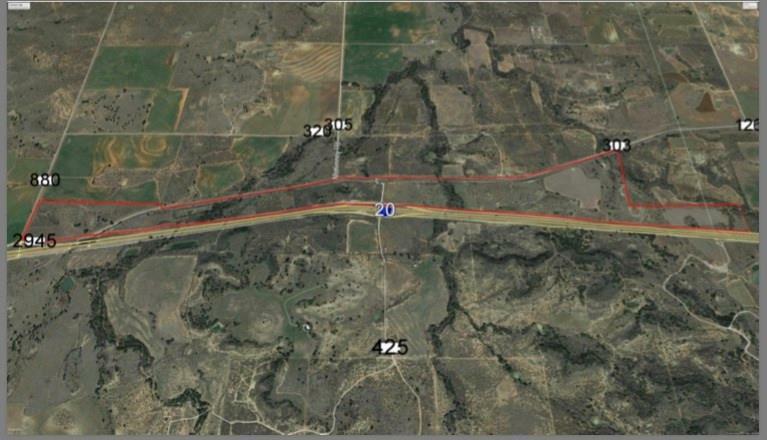 Tract 1 totals 330.347 acres with apx 42 acres of hunting/recreational and 274 acres of pasture land. A small portion of Battle creek meander through the Western and Central parts of this tract, along with 5 water tanks. 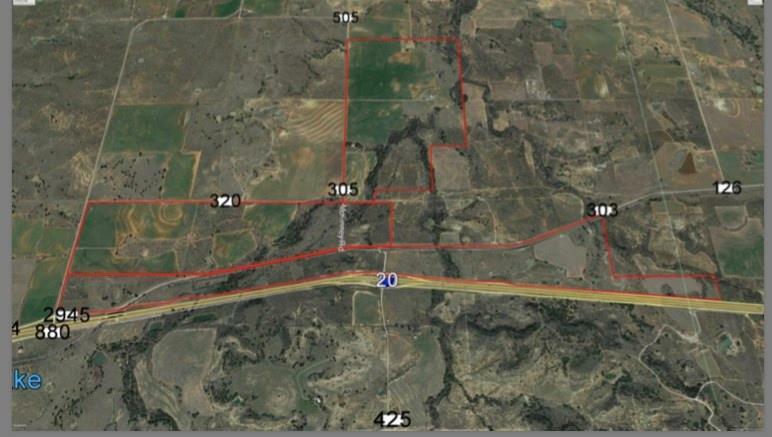 Tract 2 totals 404.00 acres with apx 192 acres of hunting/recreational and 265 acres of pastureland. Battle creek is located on the East side of the property, along with 3 water tanks. 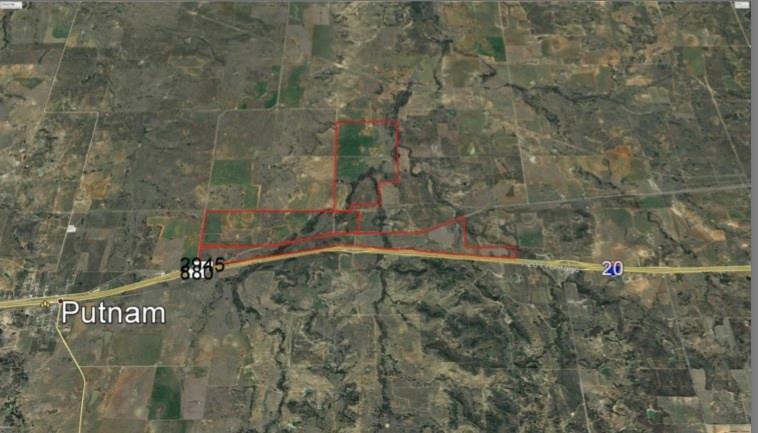 Tract 3 totals 488.97 acres with apx 240 acres of hunting/recreational and 249 acres of pastureland. This tract is very desirable with a house located on the property that could serve as a weekend hunting lodge. This property has electricity and water already set in place. Battle creek meanders through the middle of the property, along with a sizable pond and a small water tank. Also, included is a barn to store farming equipment with a large outdoor cattle pen.